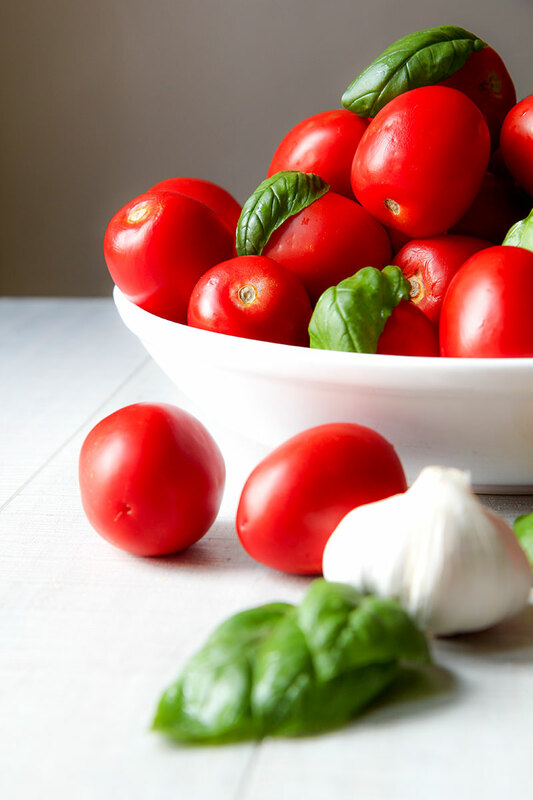 Rinse fresh Roma or San Marzano tomatoes and basil leaves. Peel and crush cloves of garlic. 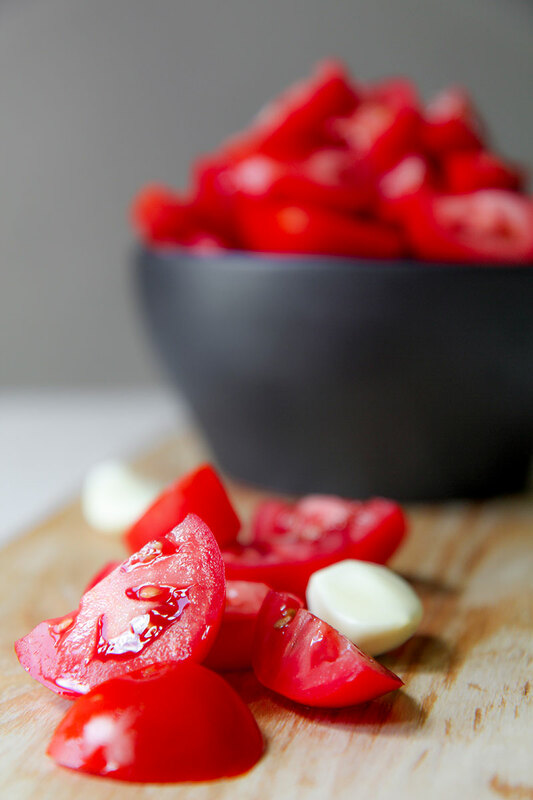 Slice tomatoes into pieces. Pour tomatoes, garlic and basil leaves into a pan large enough. Season with olive oil and stir well. Place the pan over high heat and cook tomatoes until soft, (about 6-10 mins) stirring frequently. Add salt as needed. Pout the tomatoes mixture into a vegetable mill. It is possible process the sauce with a blender as well but the sauce texture will be not the same. Place a bowl under the vegetable mill. Crush tomatoes trough finest perforated disk. .When crushed all tomatoes, scrape the down side on the disk and pour the pulp into the bowl. 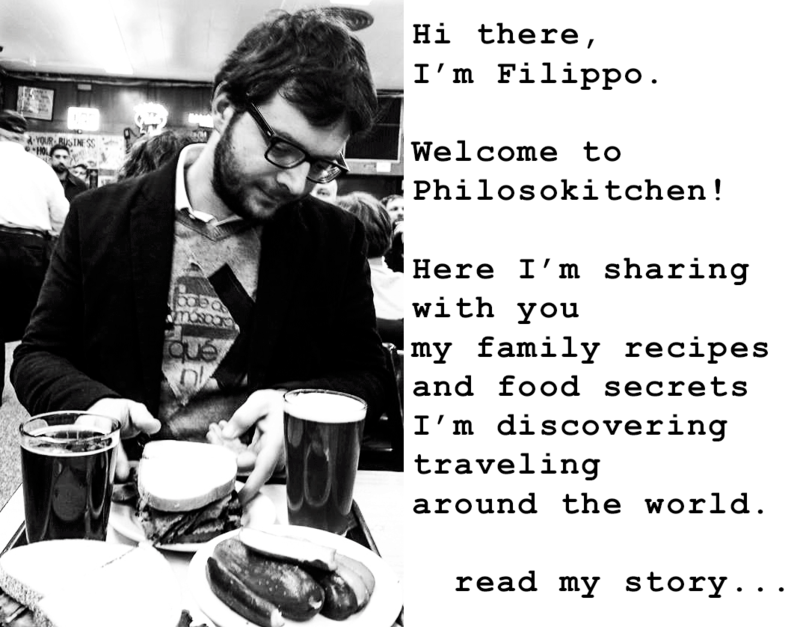 Pour the tomatoes sauce into jars. Store into the fridge up to three days or freeze. 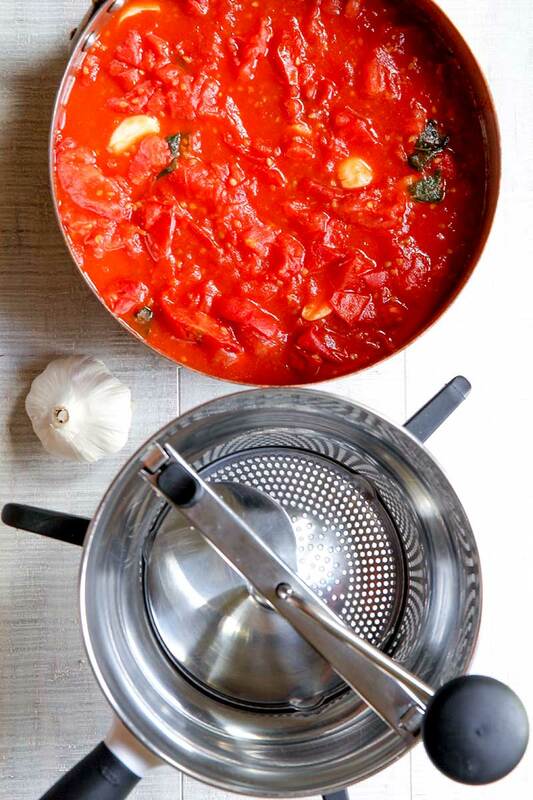 This easy tomatoes sauce is very versatile. 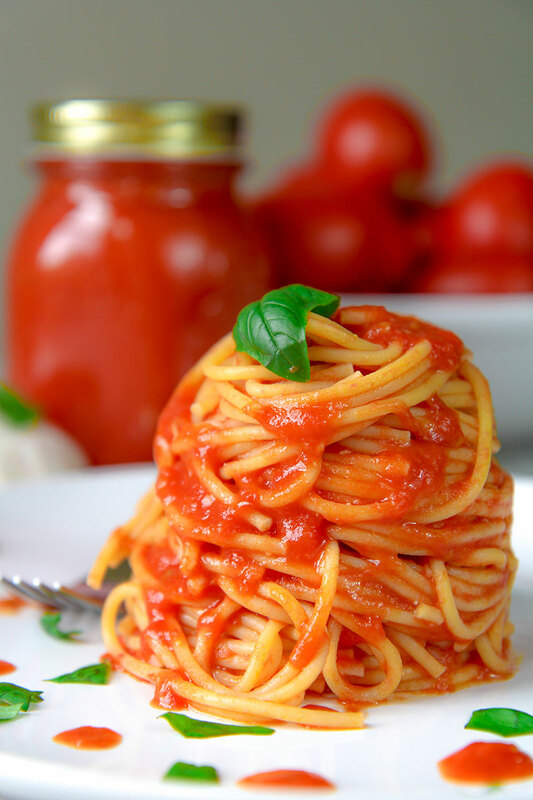 It is great to toss pasta, but perfect to prepare meat or white fish stews, or simply spread over bread slices! Pour the tomatoes mixture into a vegetable mill. 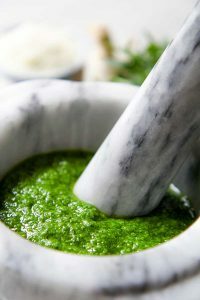 It is possible process the sauce with a blender as well but the sauce texture will be not the same. Place a bowl under the vegetable mill. Crush tomatoes trough finest perforated disk. 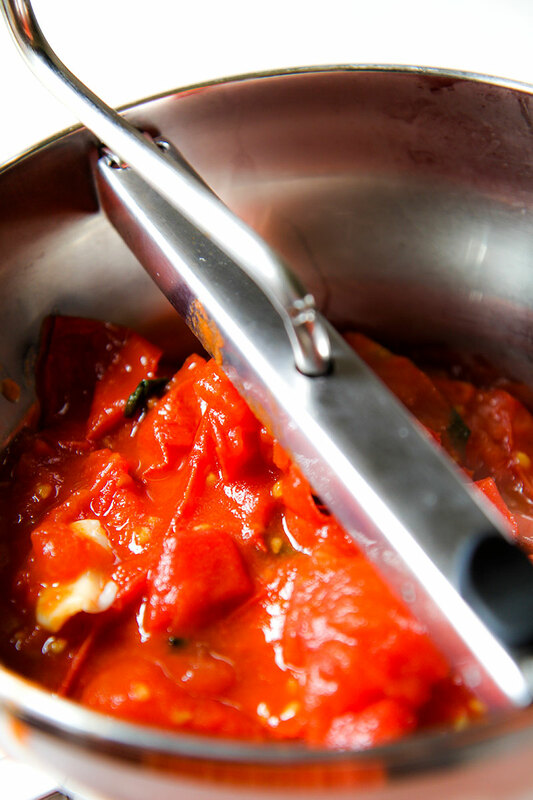 .When crushed all tomatoes, scrape the down side on the disk and pour the pulp into the bowl. Pour the tomatoes sauce into jars. Store into the fridge up to three days or freeze.